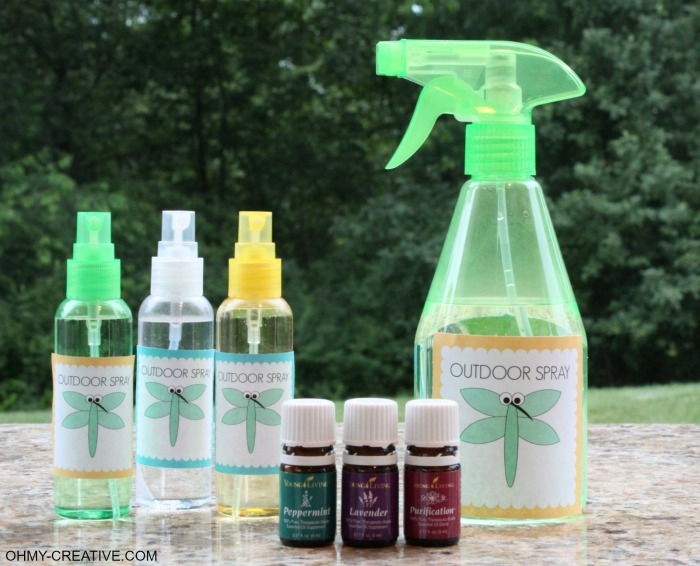 If you are like me, you HATE your typical outdoor sprays! The thought of spraying myself and my kids from head to toe with chemicals has bothered me for years. It especially troubles me using them on my son, with disabilities, because of his compromised immune system. Why put more chemically made things on his body – yuck! 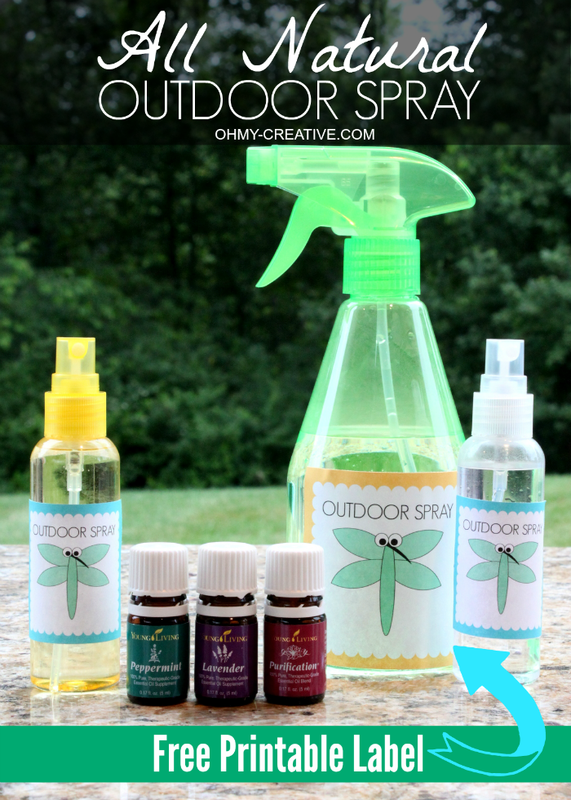 I am so thrilled to use this All Natural Outdoor Spray instead! Also, I made this super cute FREE printable label for the bottles – it comes in two sizes. Click the link at the bottom of the page to print! Combine ingredients in a spray bottle. Shake well before each use. For the lowdown on essential oils, and why it is important to use Therapeutic Grade oils, you can check out my Essential Oils page! How cute is the Free Printable Label! 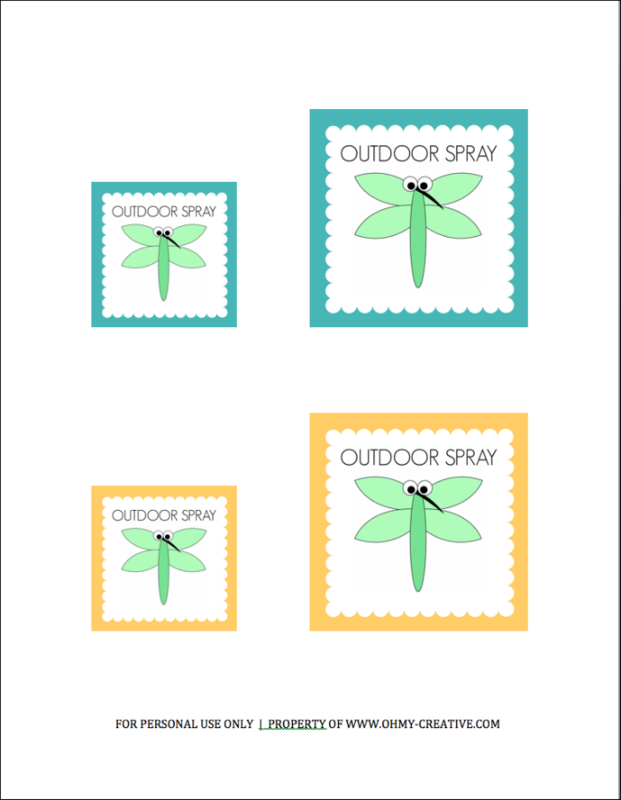 Print the labels below and attach using a spray adhesive or a glue stick. Bottle sources: I found the large spray bottle at Dollar Tree and the small colorful bottles at Walmart. 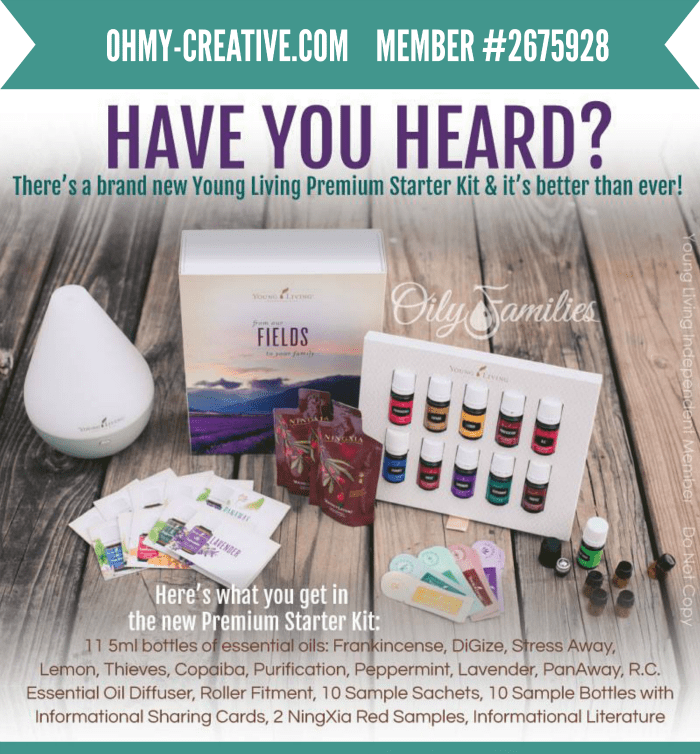 For those who want to start on the journey of using essential oils in your home and keeping the chemicals out, I have a special offer good until the end of the month. Would love to make some of this too! Thanks for the inspiration and for sharing on craft schooling Sunday! Thanks for the feature! 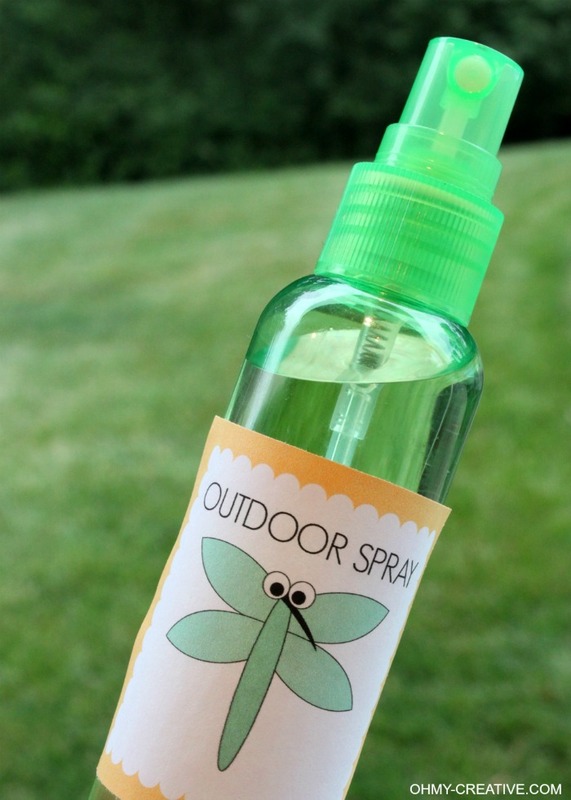 I love this outdoor spray and have my friends hooked on it too! Plus it smells good!